Since launching in 2014, Greg Tuvey's gourmet catering company Cater London (formerly Chef Events) has been our preferred catering supplier for various events at Shoreditch London's venues. 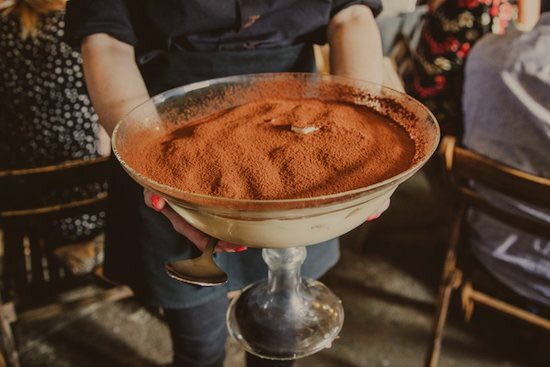 Offering a wide selection of locally sourced seasonal options, Cater London's menu includes everything from cheese platters, canapés or sharing plates, to BBQ's or gourmet three course wedding dinners with amazing dessert options. 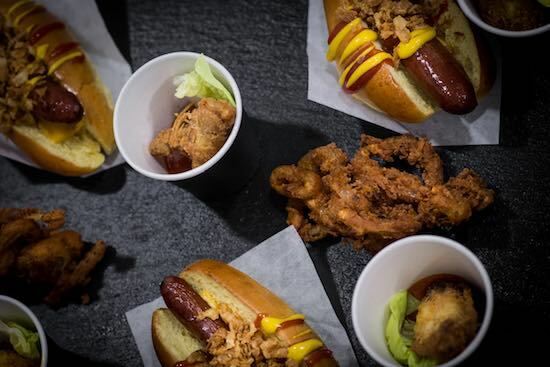 Cater London also manage a selection of street food pop-up vendors including Chicken Shack, Smoking Buns, Squid & Pig and Grilled Cheese. Greg Tuvey takes time out of the kitchen to share some insider tips on event catering. How long have you worked in event catering? After over 15 years working in events, catering and hospitality. I had been running a cookery school near Oxford Circus and saw the massive potential for high end events with real chefs and proper cooking at the heart of everything. This inspired me to start Chef Events / Cater London. Who are some of the clients you have catered for? Cater London have catered over 800 events in the past 3 years for various corporate clients, venues, sporting events and music festivals including Glastonbury, Wembley, BBC Good Food and various events at Shoreditch London venues including PwC, Casillero del Diablo, many weddings and game launches for Call Of Duty, FIFA 18 and WWE 2K. What are some of the most memorable events you have catered at Shoreditch Studios or Kachette? We love catering for weddings, they can involve a lot of work in the planning, but the personal connection you get with the client and the feedback you get when the day is a success makes it all very worthwhile. We catered a wedding at Shoreditch Studios, which had about 30 different service points in the evening, culminating in a late night gelato stand and snacking station. Some of the gaming launches we have been involved in are pretty impressive to see come together too. The level of detail on the production has to be matched by exceptional staff and food. FIFA 18 at Kachette was a particular favourite of ours. What are the most popular menu requests you get from clients? Arancini! Well that is a bit of a running joke for us, it seems every client loves them and asks for them. We get asked a lot for simple but flavoursome food, I think lot of clients are wary of caterers who provide 15 garnishes, but the ingredients are out of season and the cookery is lacking in flavour and technique. We specialise in seasonal modern European dishes and our food always gets rave reviews. What are your personal favourites on the menu? Our chicken liver parfait canapés, served with honey and finishing salt is pretty moreish. We always seem to make far too much for each event and are left eating it for days, perhaps not by accident… I also love some of the feasting menus our chefs have come up with, the idea being the food is served sharing style and the guests are encouraged to serve each other. You get a great reaction from guests when you bring out a whole turbot or a giant Tiramisu. Can you recommend any catering suggestions for weddings? It really does depend on the brief and we are always very adaptable and keen to understand requirements first. The feasting style mentioned above is always a great format, canapés are a must for drinks receptions, especially if the champagne is flowing. We enjoy putting together dessert and cheese stations and I am often seen by the cheese handing out glasses of port to guests. Catering suggestions for corporate events or conferences? Food stations are really popular and a good way of getting guests to interact with each other. Canapés also keep people on their feet and mingling. We also do some interactive cooking events for team building and away days. The people definitely, most people are really creative and switched on. I also love being so connected to the thing I love most , food! Are there any menu ideas or personal specialties that are unique to Cater London ? We focus on seasonal European cooking and our head chef is really switched on to what is going on with suppliers and produce. Our menus change with the seasons and reflect what is fresh with our suppliers. What are your clients saying about Cater London? “I would like to thank and congratulate you and your team on helping to create what was a fantastic event and a day to remember. The BBQ was a real hit and your team were a pleasure to work with. The guest and client feedback we have already received has be overwhelming and I am sure the guests will be talking about the day for a long time to come. On behalf of the whole Two PennyBlue team, thank you and we look forward to working with you again very soon. ” Dan Johnston, private party booking at Kachette. Got a catering question for Shoreditch London ? Contact the Shoreditch Studios production team on link@shoreditch.com or Kate Barnard kate@shoreditch.com at Kachette.